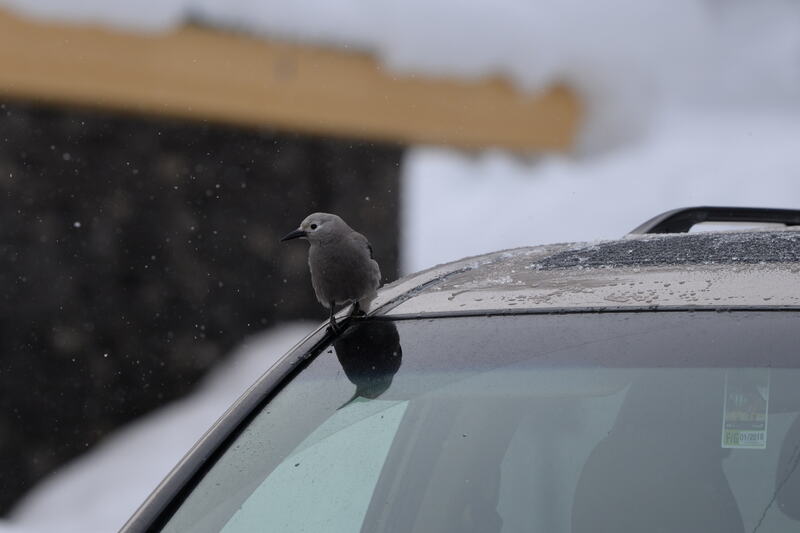 Keeping with the Banff theme — after my parents and I drove back to Banff from Lake Louise, we met up with local birder Neil (father of Bird Boy) who was kind enough to take a very late and long lunch to show me around the area. 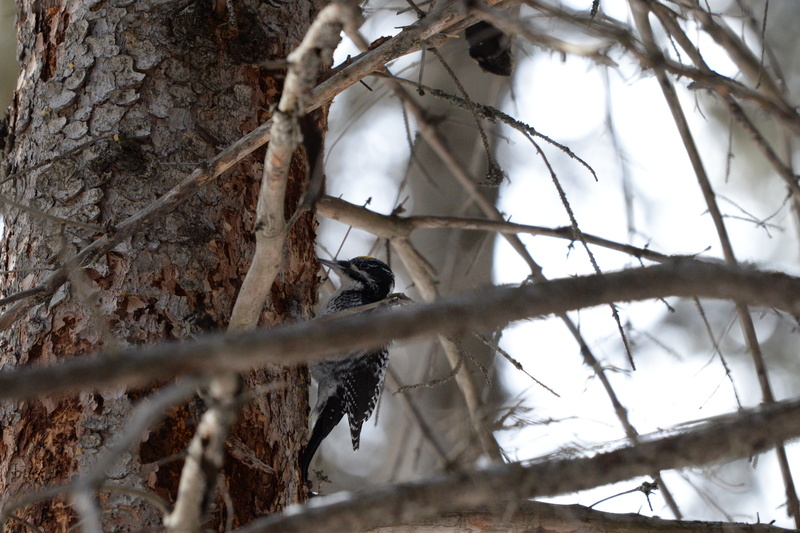 I was hoping to see an American Three-toed Woodpecker on our trip and Neil was able to locate two on our walk! 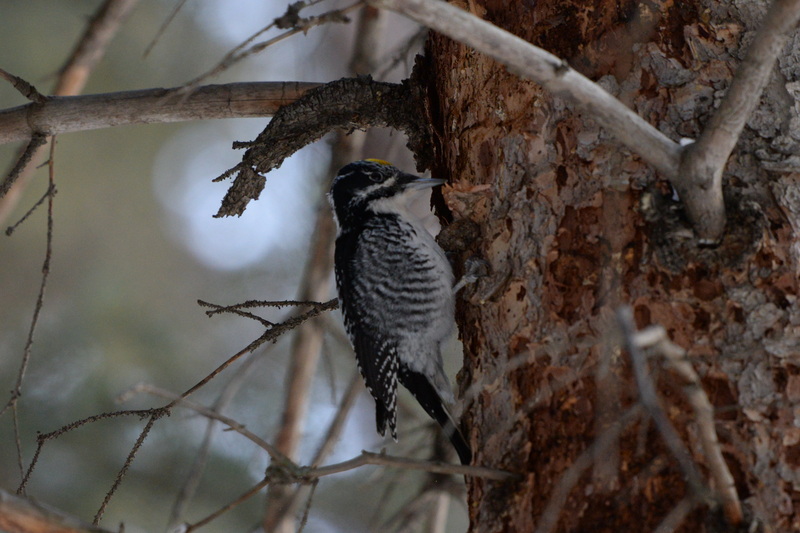 We watched the woodpeckers for a while then went off to find a Townsend’s Solitaire that never showed. Thank you again, Neil, for your time and for showing me around and finding a lifer for me. 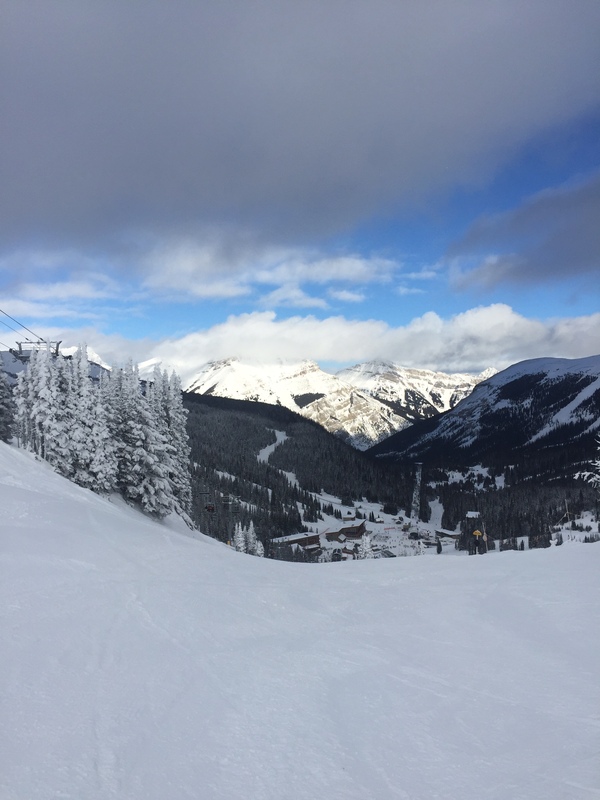 Last week we took a short vacation, our first family skiing trip to the Rocky Mountains — known for some of the best downhill skiing in the world. 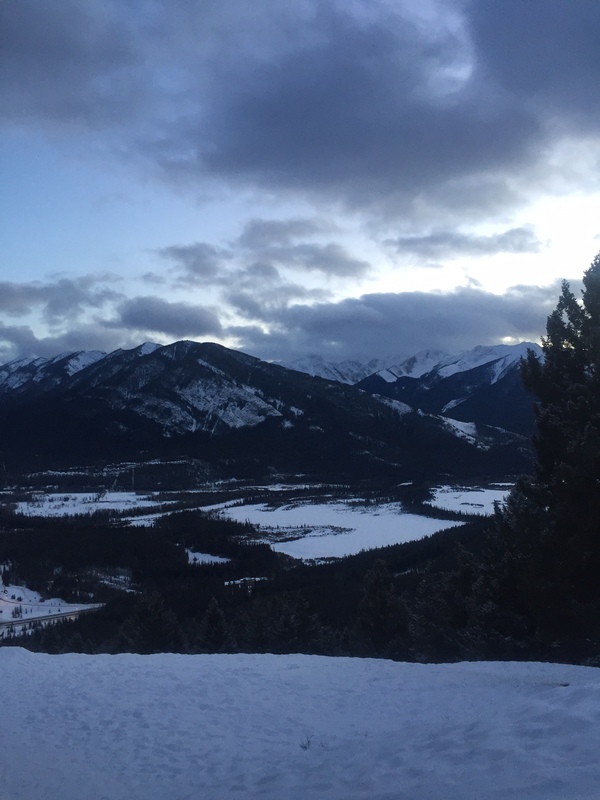 We stayed at Hidden Ridge Resort just outside Banff. 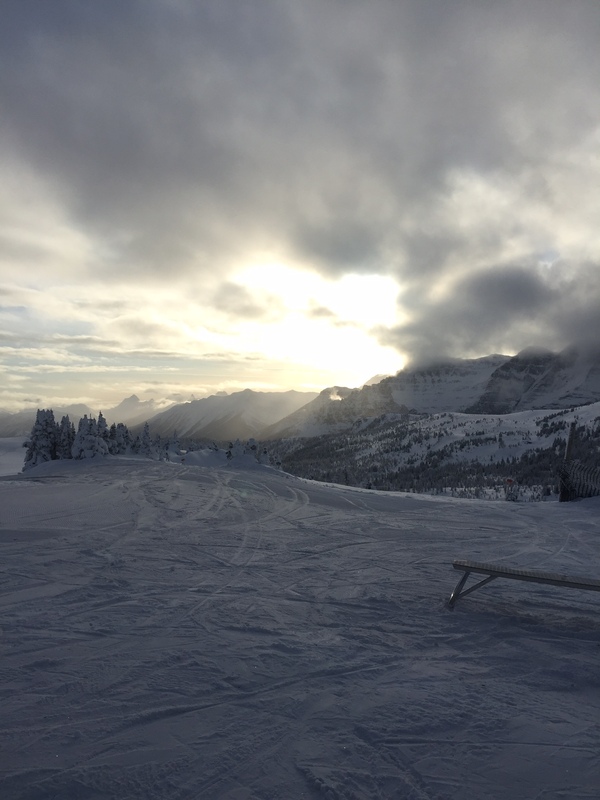 It was a real treat because skiing is such great fun and the setting is so incredibly beautiful. I was also excited about the photography opportunities and birding. 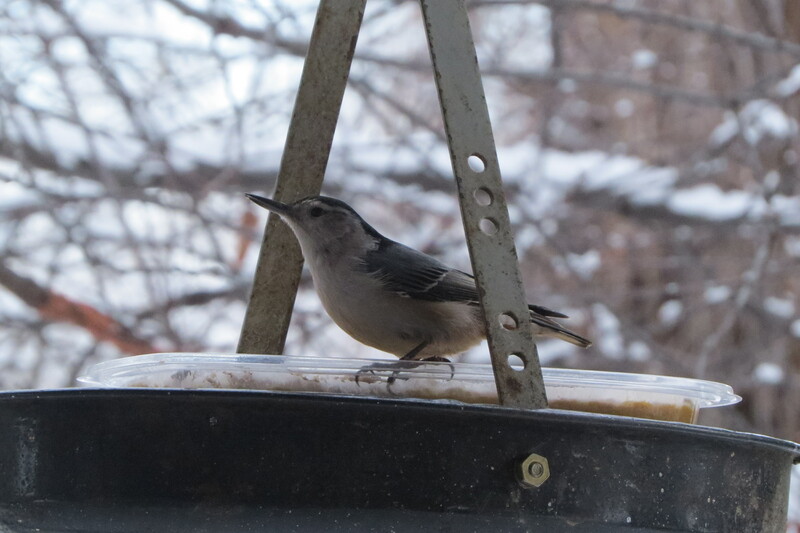 There were a few species I was hoping to see and add to my Life List: Mountain Chickadee, Boreal Chickadee, Clark’s Nutcracker, American Dipper, Stellar’s Jay, Northern Pygmy Owl (a slim chance for this species, but worth a try), and American Three-toed Woodpecker. 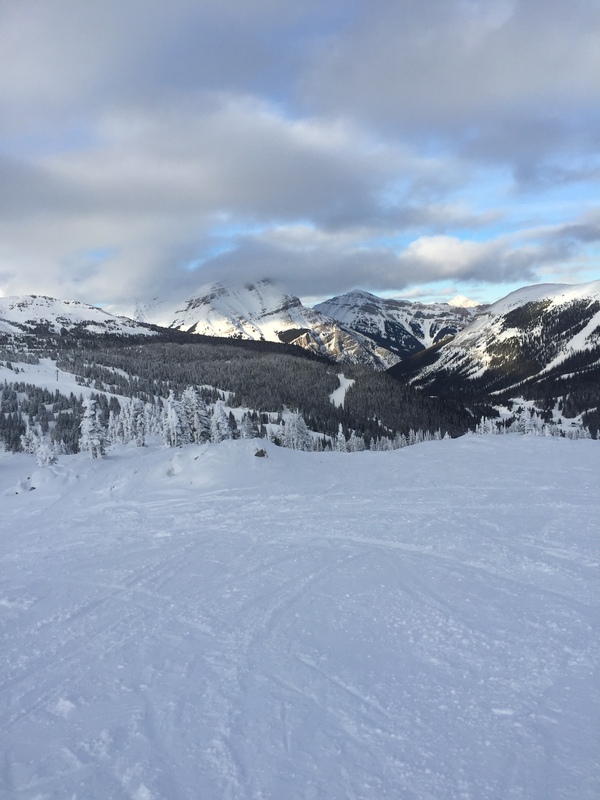 The first two days in the mountains, my brothers and I skied all day at Sunshine Village, a 20 minute drive from Banff. 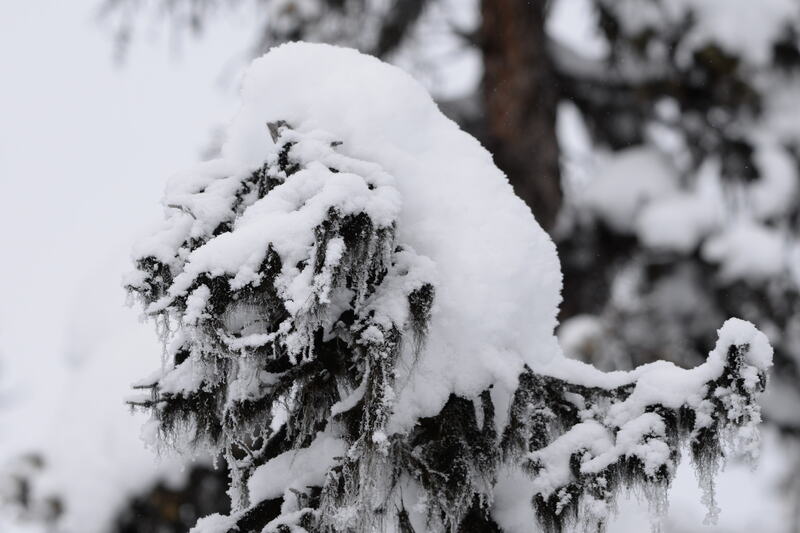 As we drove to Sunshine on the first morning, I was looking at the scenery and as we turned onto the Sunshine EXIT, there was a Northern Pygmy Owl sitting at the top of a tree! I saw it for only a few seconds but long enough to ID it. It was one of the first birds of the trip and certainly a special one. 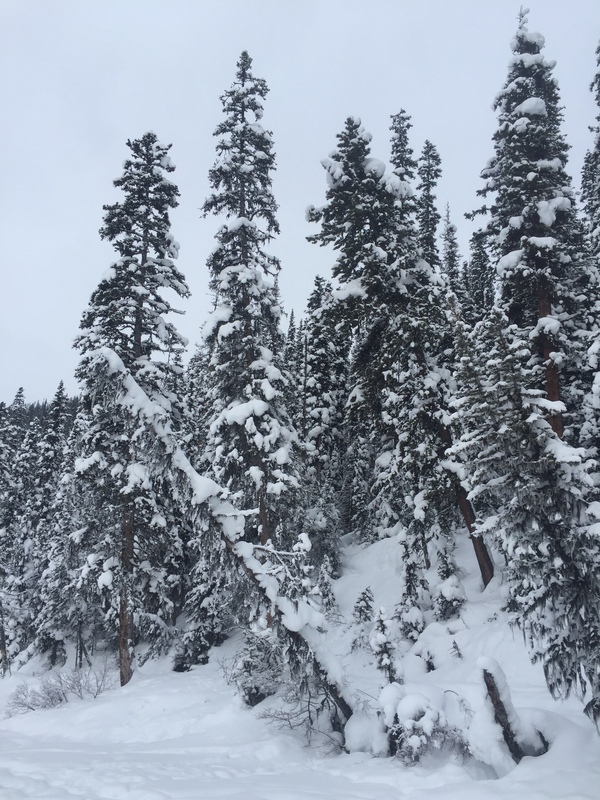 The mountains are breathtaking and the skiing was terrific. 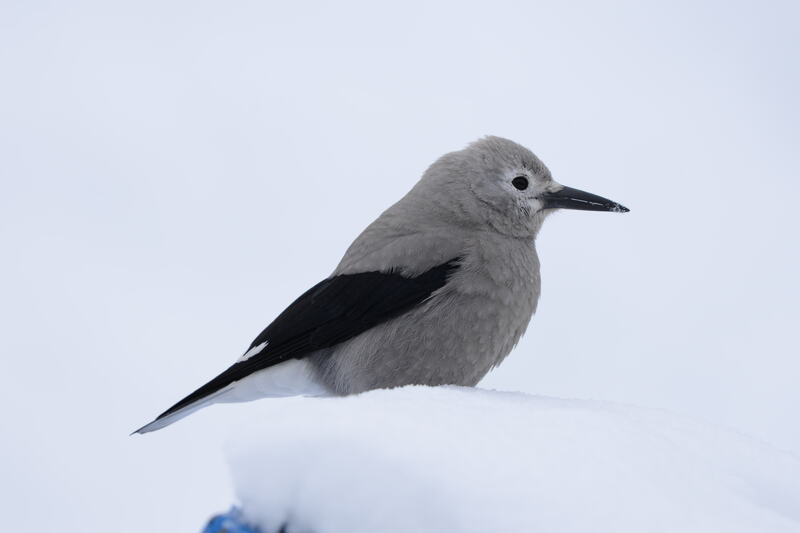 From one of the chairlifts, I saw my second lifer of the trip — Clark’s Nutcrackers below us in the spruce trees. 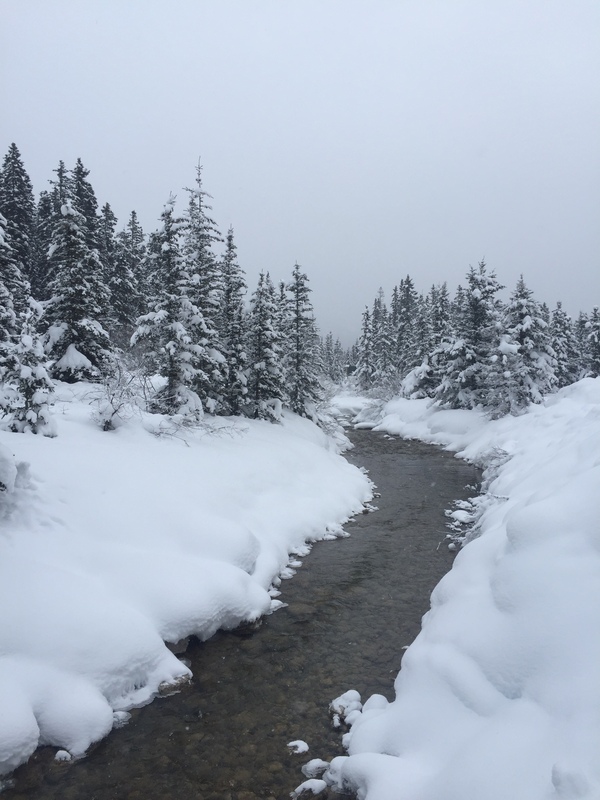 The final two days I went birding instead of skiing. 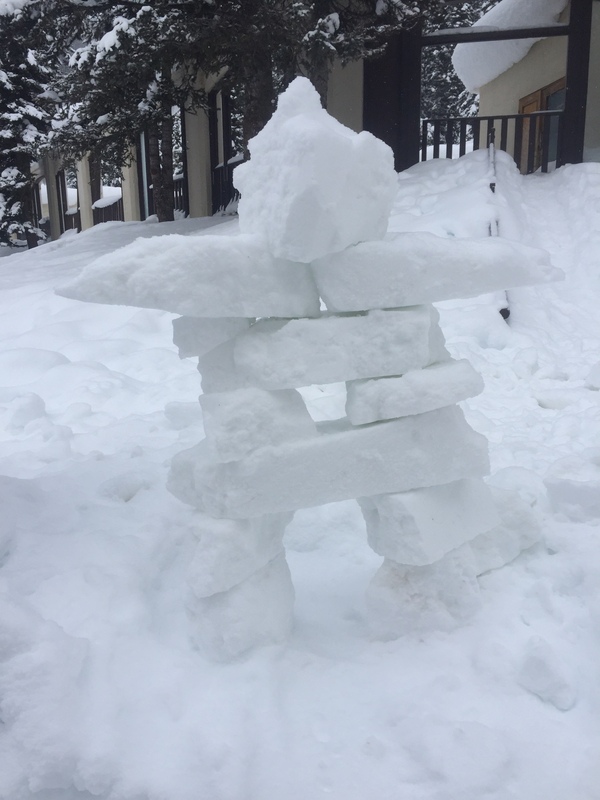 My parents and I dropped my brothers off at Lake Louise and then drove to the Chateau Lake Louise. The last time we were in the mountains and visited the lake, I was 18 months old, so I don’t remember anything. We took a swing through the Chateau were we stayed 17 years ago. 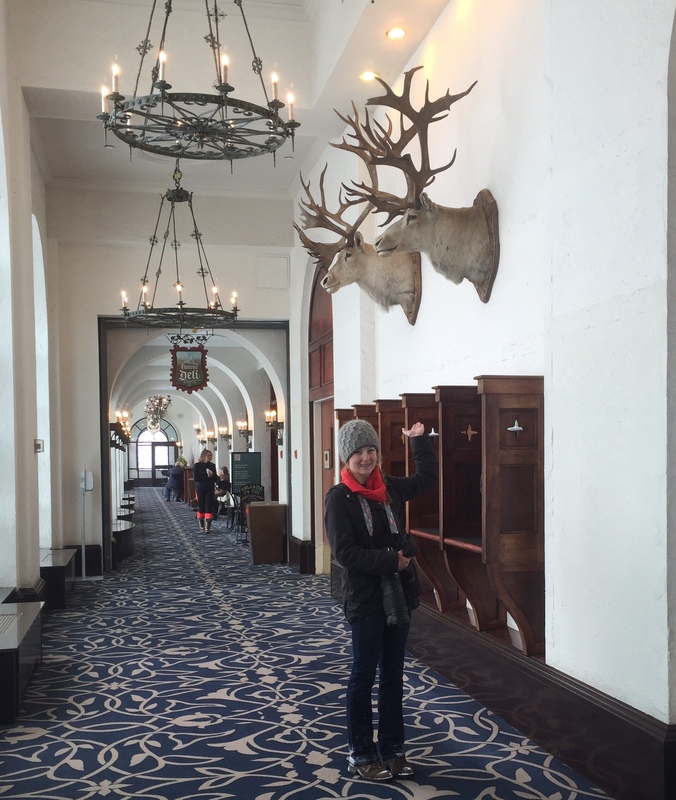 My dad remembered that I called the mounted Caribou on the wall “bearabou” at the time. 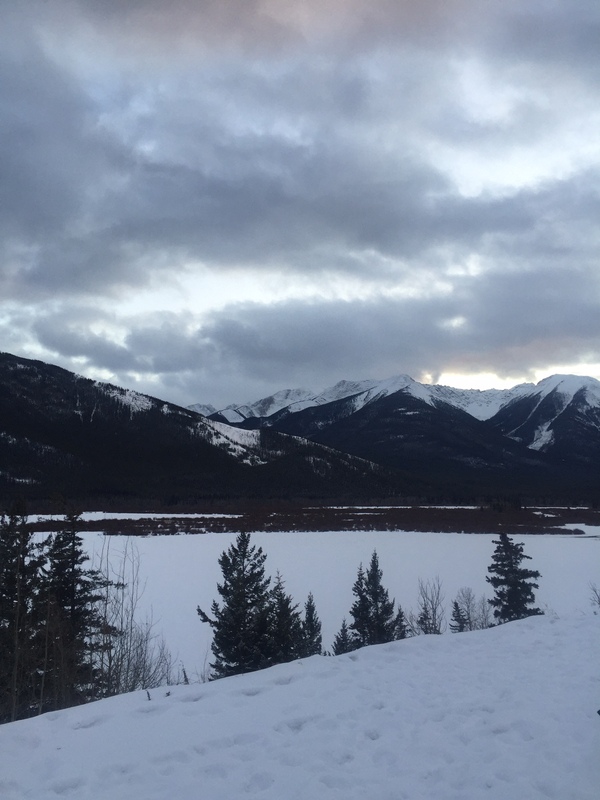 Stay tuned for more posts and photos about my adventures in the Rockies! 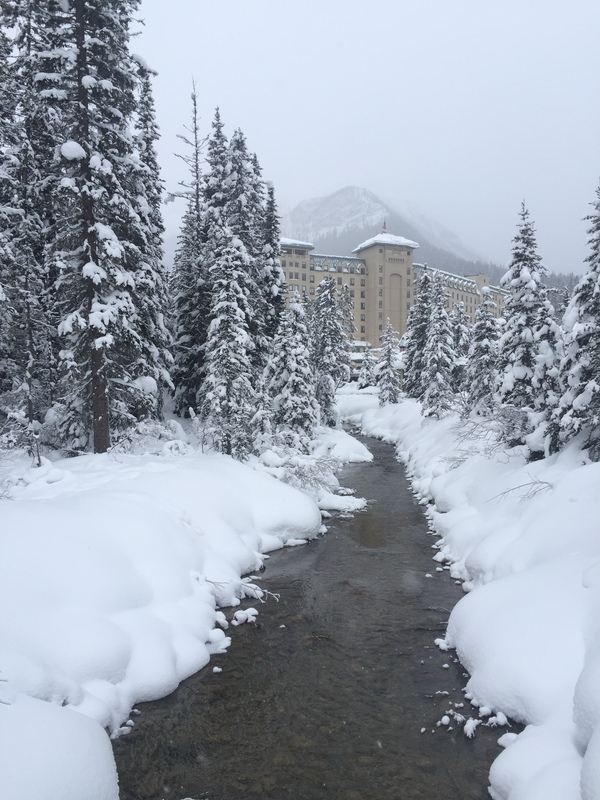 I’m in Banff at the moment for a skiing and birding vacation, and yesterday we visited Lake Louise. 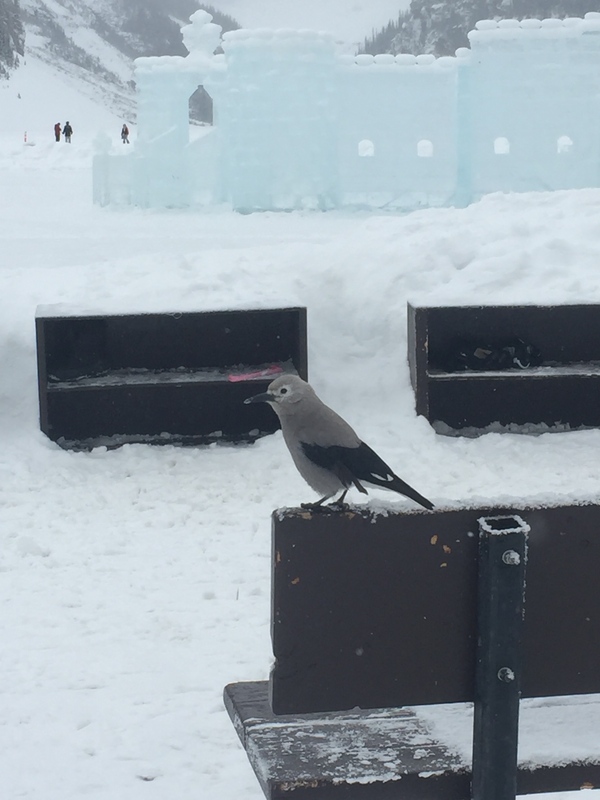 There were Clark’s Nutcrackers everywhere around the lake and hotel grounds! They were so close I got decent photos with just my phone. 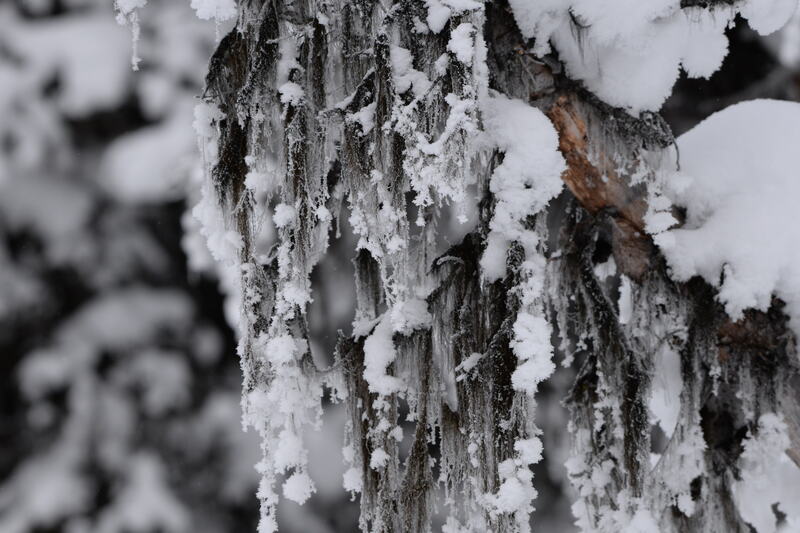 I’ll post the good photos, which I took with my Nikon D610 and 200-500mm lens, when I get home in few days. I got a package from Germany this past week and it was my copy of A Birdwatcher’s Guide to Franconia by German birder Thomas Büttel. Franconia is a region of northern Bavaria in Southern Germany, and two of the major cities in the area are Nuremburg and Bamberg. Thomas emailed me back in October to ask if I could help him with his new English-language birding guide. Thomas’s English is very good (miles better than my nonexistent German! ), but I helped with some editing. “A Birdwatcher’s Guide to Franconia” covers 10 sites in the area, lists the best times to visit, and provides suitable places for finding the region’s specialty species, from Ortolan Buntings to Red-breasted Flycatchers and other difficult-to-find species. 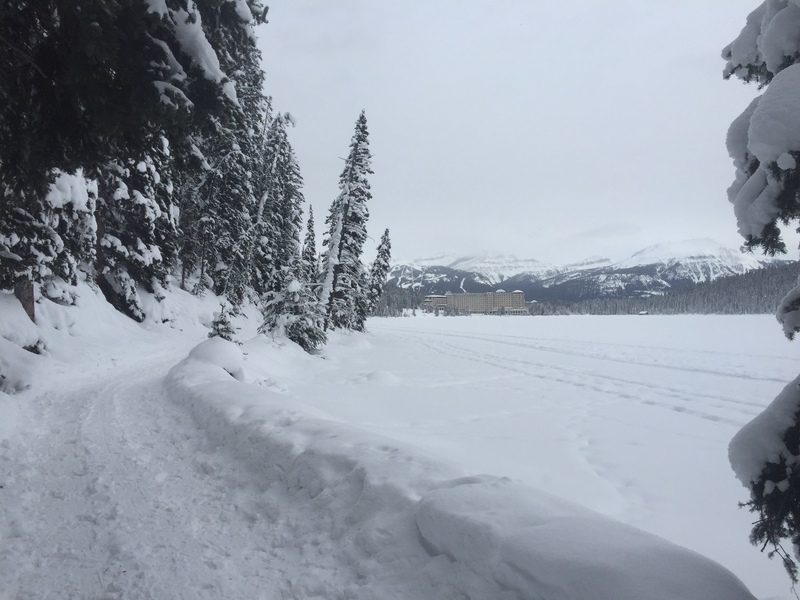 Each site description provides information on species in the area, which species you can expect to see during each season, car and public transport access, maps, and GPS coordinates. There’s a checklist with all the species at the back of the guide as well as other useful resources. You can download the guide for free from the Birding Franconia website or you can buy a hard copy for 4€ plus postage ($6.25 in Canadian dollars and $4.35 US). The website and the guides are available in both English and German. If you’re planning on birding in Southern Germany, specifically the Franconia area, this new guide is a very helpful resource. Thank you very much for sending me the guide, Thomas, and also for the kind mention in the guide. 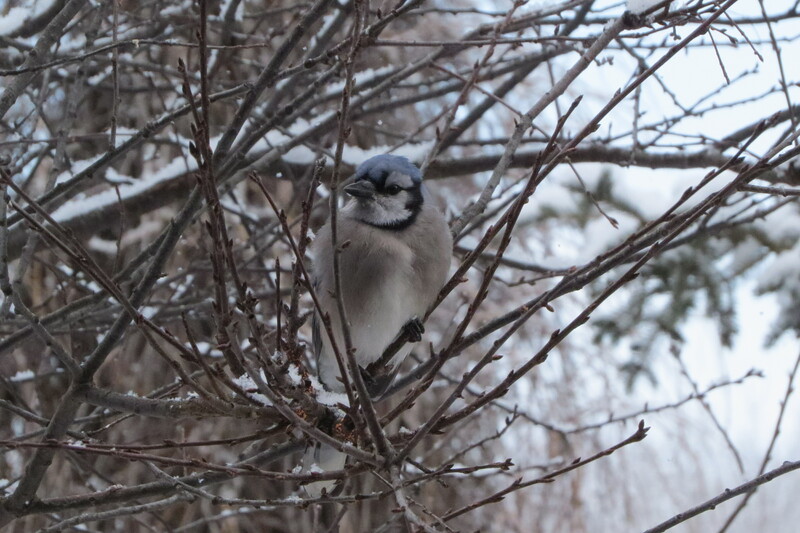 I was happy to be a little bit of help in what is a great birding project. 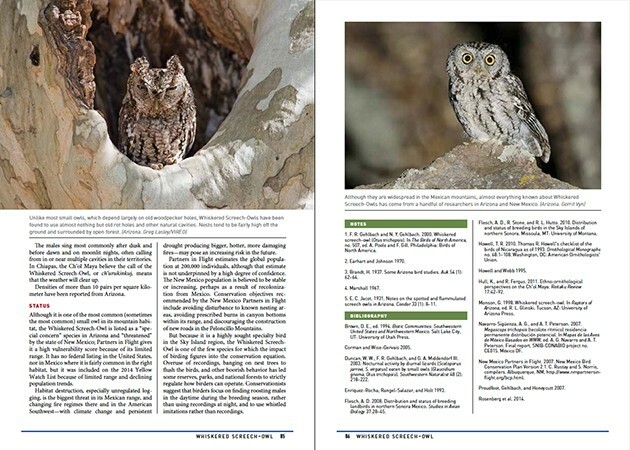 The Peterson Reference Guide to Owls by Scott Weidensaul is my first owl-specific guide and my first volume in their “reference guide” series, and what a wonderful introduction to both. 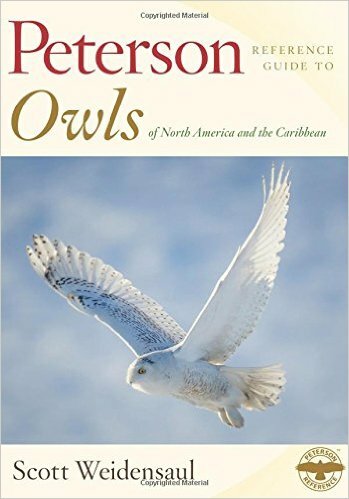 The book covers all 39 species of owls found in North America, Mexico, and the Caribbean. This is a very comprehensive, authoritative, and beautifully illustrated book which has everything you need to know about owls. Because it’s hardcover, it would also be a great coffee-table book. Scott Weidensaul is a co-founder of Project Snowstorm, the research project that bands and tracks the movements of owls that appeared in the recent irruptive years; he is a co-director of Project Owlnet, a project with almost 125 banding and research stations across North America studying owl migration; and for nearly 20 years he has directed major studies on Northern Saw-Whet Owls. The first part of the guide is the “How to use this book” section which covers a longevity, alpha codes, how to read the range maps, the topography, and explanations for such terms as reversed sexual dimorphism (where “females may be 20 or 30 percent larger than males”). The next and largest section is the Species Accounts. The accounts range in length from three to 17 pages, representing the knowledge and research available on that species. 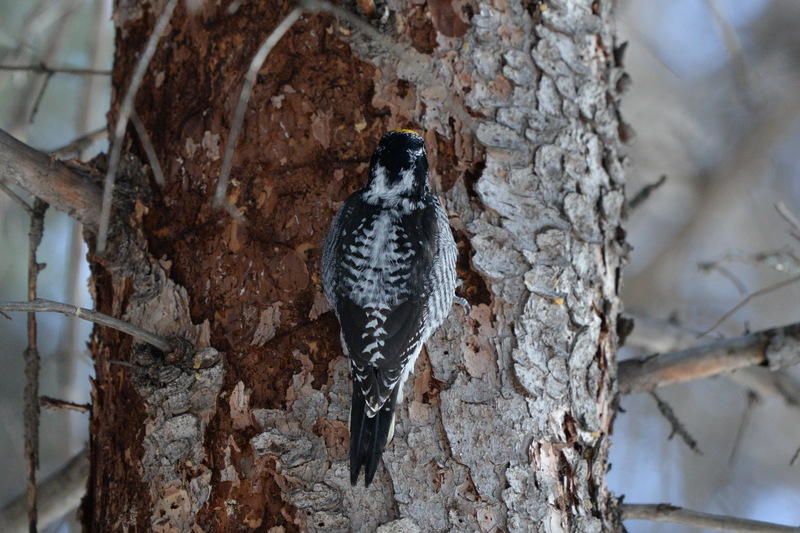 Each Species Account includes both English and scientific names, and the banding (alpha) code. Measurements, longevity, and a general description of the species follow. 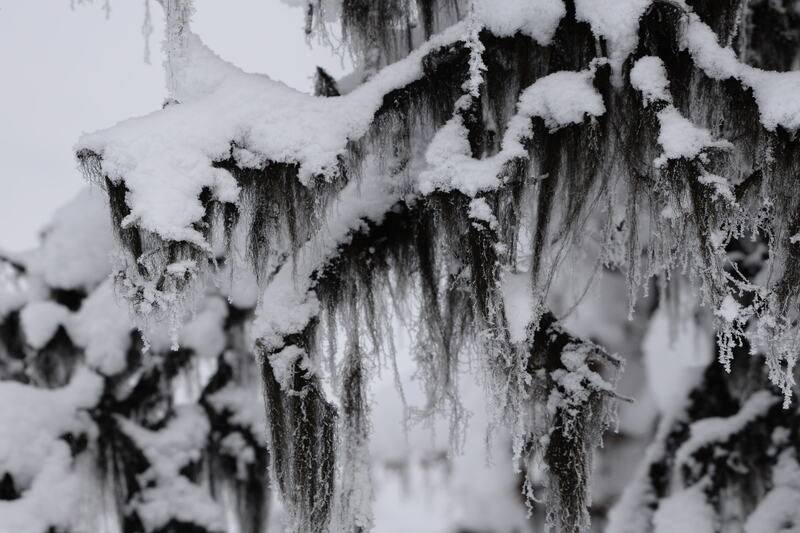 There are more detailed sections on Systematics, Taxonomy & Etymology, Distribution, Description & Identification, Vocalizations, Habitat & Niche, Nesting & Breeding, Behavior, and Status. At the end of each species accounts, there are Notes and Bibliography for further reading and research. Each account contains a up-to-date range map and there are also subspecies distribution maps for Spotted Owls, Great Horned Owls, and Eastern and Western Screech-Owls. One of the best parts of the book is the photos — there are 340 color photos included in the guide. I have an awful time getting photos of owls, so I take my hat off to the many photographers who spent time capturing the behaviour of theses secretive and hard to photograph birds. The easier owl species to find are represented with lots of great photos while lesser-know owls such as the Tamaulipas Pygmy-Owl have only one photo. As owls are generally heard more than seen, much emphasis has been put on the vocal descriptions which are very detailed and descriptive. However, I find the best way to learn the calls is to actually listen to recordings. The author and publishers have put together a list for anyone interested in audio with 86 owl vocalizations which you can download for free from the Cornell’s Macaulay Library of the Cornell Lab of Ornithology — a wonderful bonus! The Acknowledgments section includes a list of all the researchers, photographers, and even citizen scientists who helped with the book. 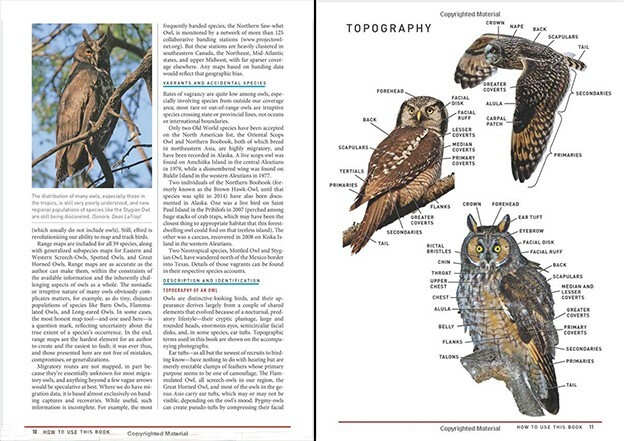 Next is the Glossary where you can find all the owl terms mentioned in the book. There are five pages of General Bibliography listing published papers, ornithological articles, and citations; these are primarily paper versions but there are some links to online sources too. The index includes species and subspecies names, both English and scientific. Pages for photographs, maps, and captions can be found in a bold font. Even though much of the information is technical, Mr. Weidensaul’s style is very engaging and easy to read. One of my favourite sentences is from the Northern Pygmy-Owl: “Northern Pygmy-Owls rather famously lack a sense of proportion when it come to picking their prey.” And the back of the book is as helpful and comprehensive as the front. 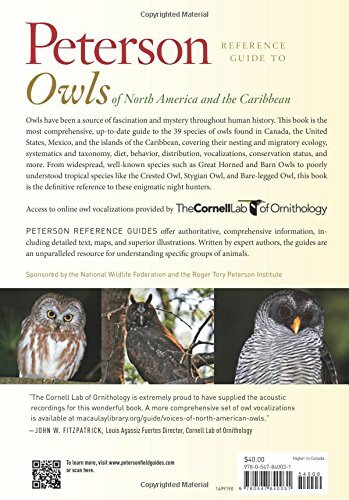 For anyone interested in owls and their ecology and behaviour, the Peterson Reference Guide to Owls of North America and the Caribbean is a must-have. It’s incredibly well-written and well-designed, with informative text, and the photos bring each species to life. This book deserves a special place on the shelf or coffee table. This is a really wonderful book, and I’m hoping it will help me change my bad luck with owls. I’d like to thank my good friend Ray of Ray Brown’s Talkin’ Birds for sending me a copy of this guide. 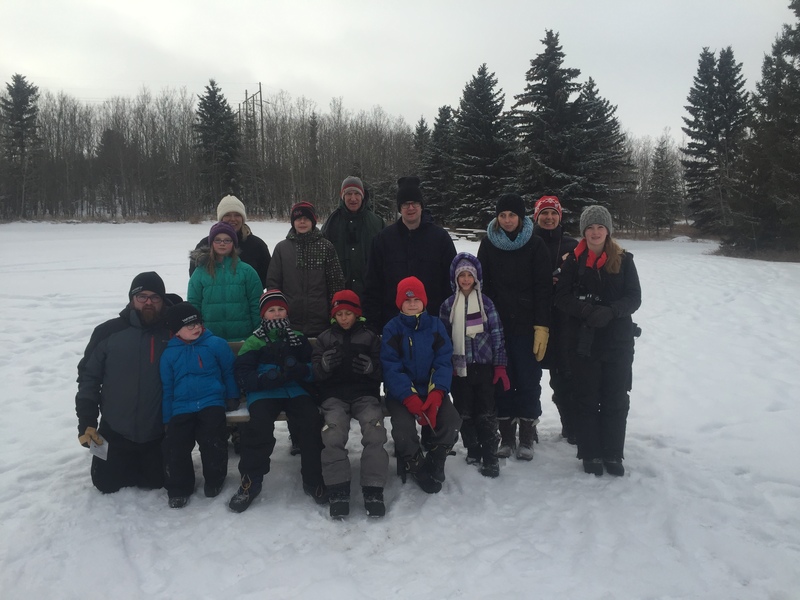 The 26th annual Vermilion Christmas Bird Count was held on December 19th. I’m the president for our local Naturalist Society this year, so I organized the count, made sure we had field counters for each of the quadrants, and also tried to publicize the count in the local papers to encourage more feeder counters and let the community know to expect birders walking around. 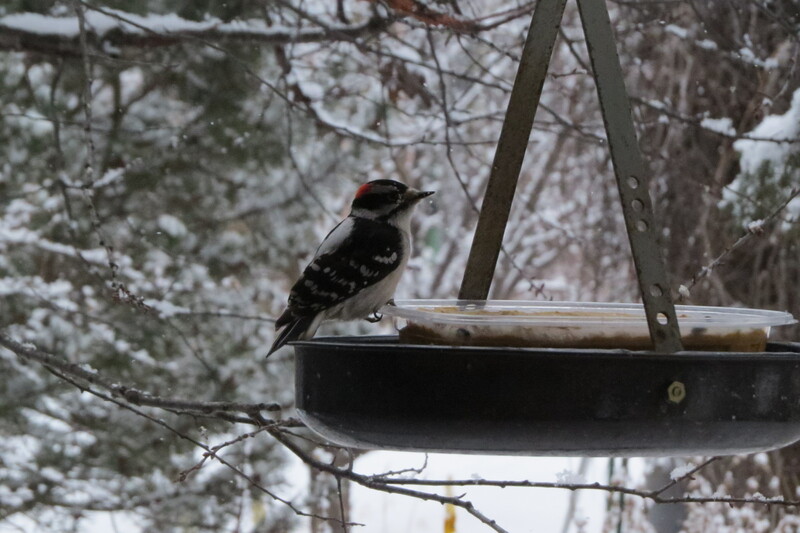 We had a total of 29 field counters and nine feederwatchers. 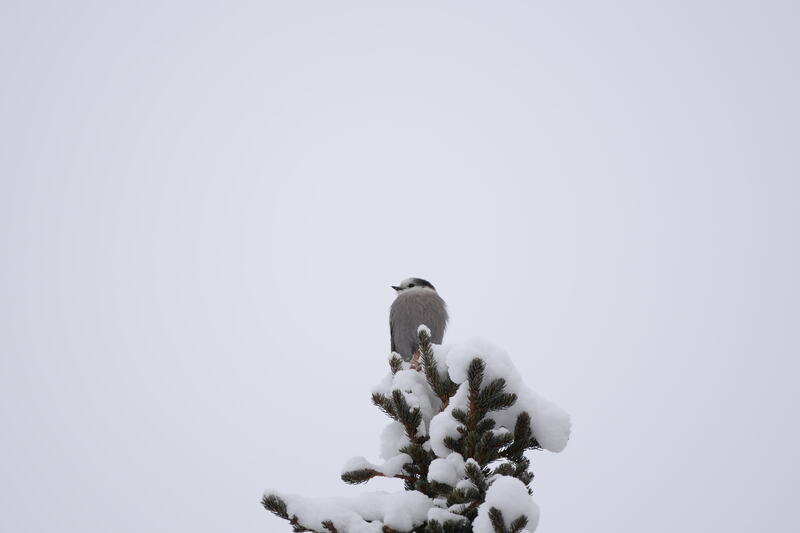 My friend Sharon picked me up at 9 am and we drove around our part of the NW Quadrant, stopping at farmyards along the way, checking to see if there were any birds at feeders or in the mature spruce trees surrounding the yards. Black-capped Chickadees, Black-billed Magpies, and Common Ravens were our most seen species, but the Common Redpolls were the most abundant — we saw over 400 in just under two hours. 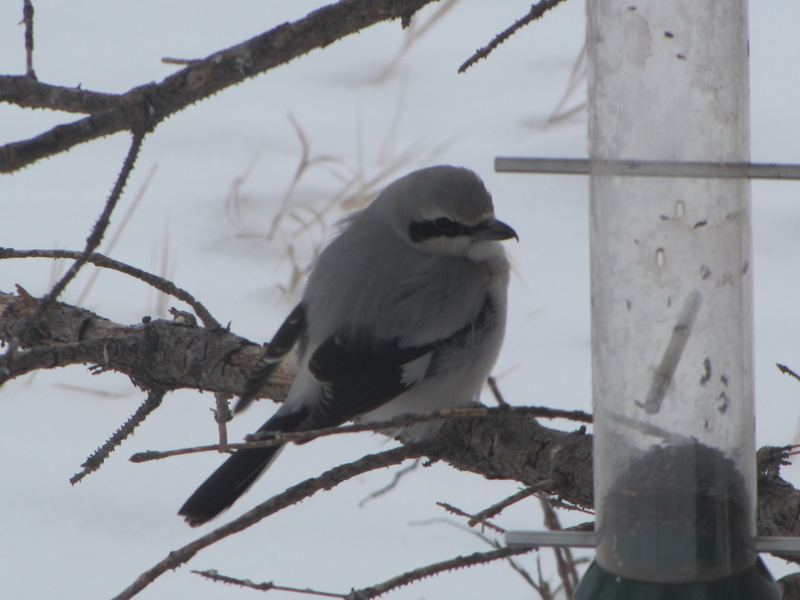 At 11:30 am we headed to my grandmother’s acreage to see what was at her feeders. 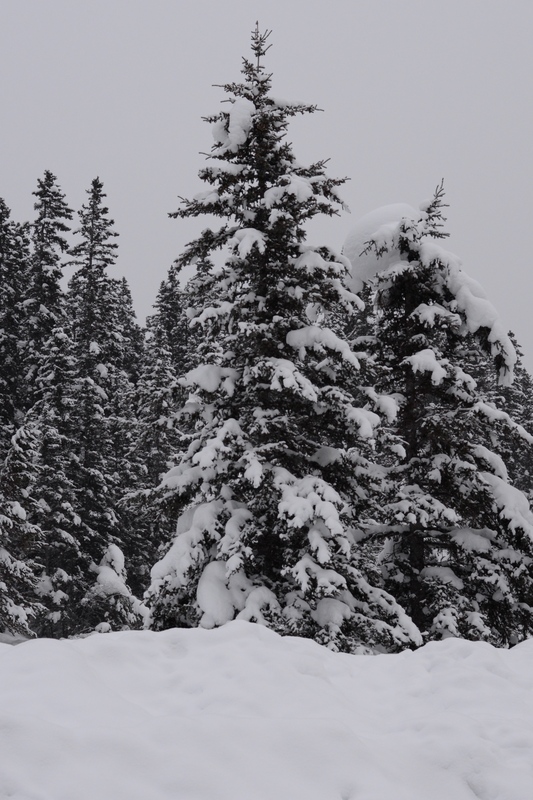 We enjoyed mugs of hot chocolate and ate Christmas baking while looking out her kitchen windows. 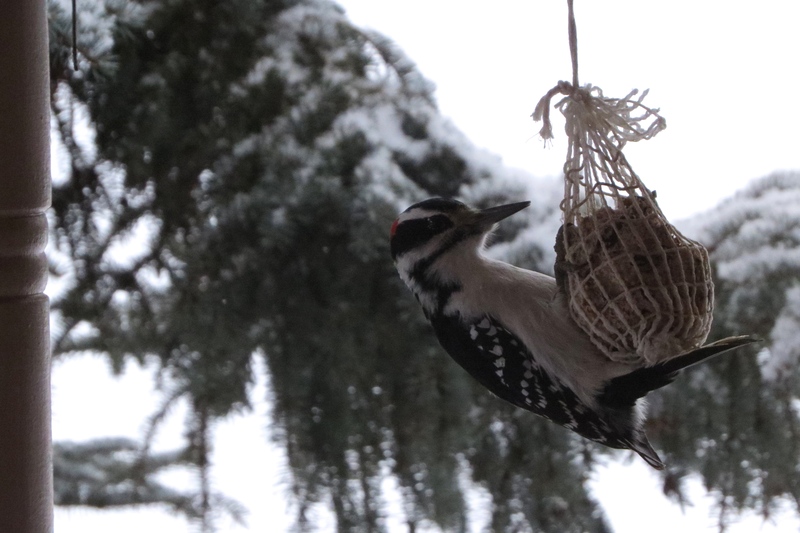 We added two Hairy Woodpeckers and Downy Woodpeckers to our list. 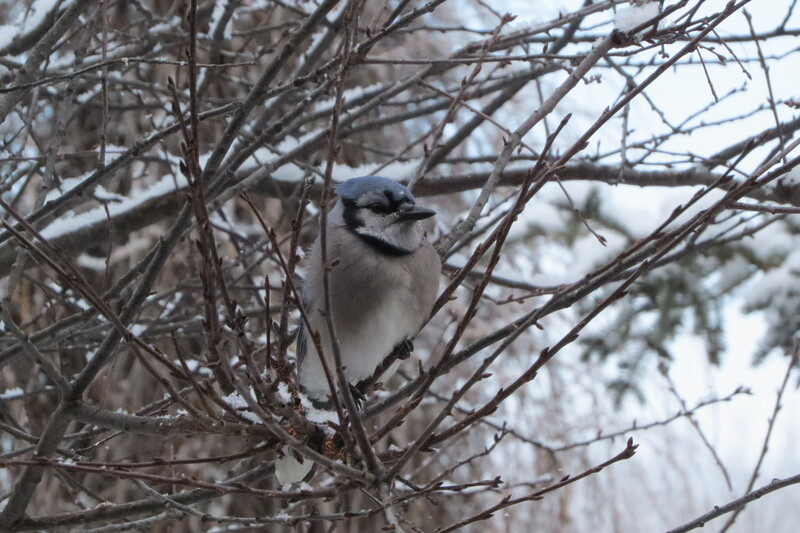 Three Blue Jays fed from the peanut ring that my grandmother put out. 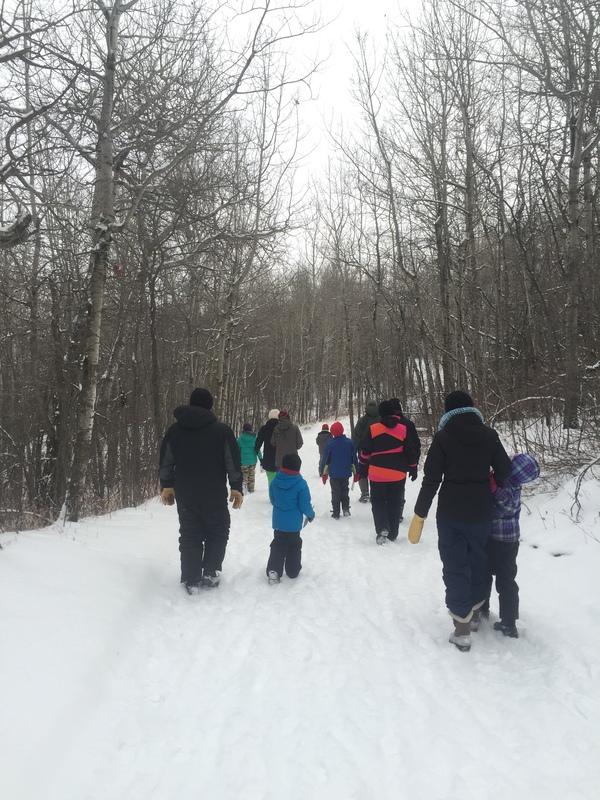 This year, I organized the second annual Vermilion CBC4Kids in the Vermilion Provincial Park. Sharon dropped me off at home and I drove to town for the CBC4Kids starting at 1 pm. 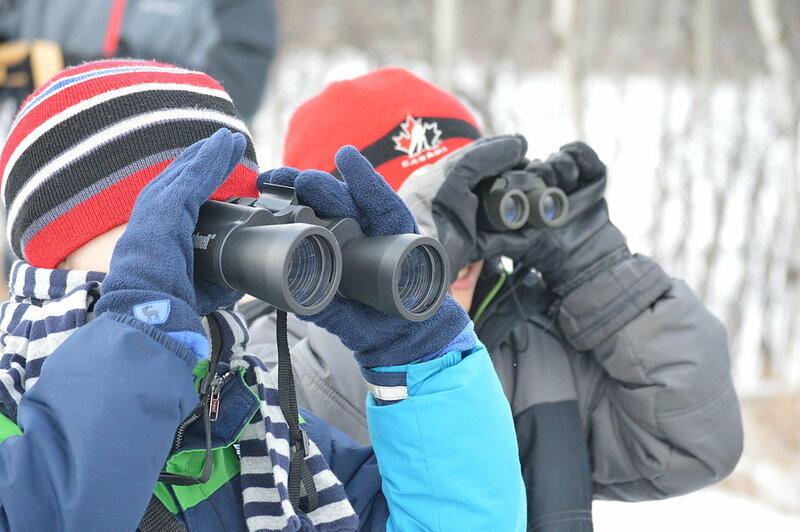 We had seven kids, six parents, and one novice adult birder come out for birding in the park. I talked about the possible species we could see and explained more about the Christmas Bird Count, then we started walking the trails. A reporter from the one of the local newspapers joined us to cover the CBC4Kids just before we started our walk. Thanks for coming out, Shannon, and for the great article, which I hope encourages other families and young birders to come out. 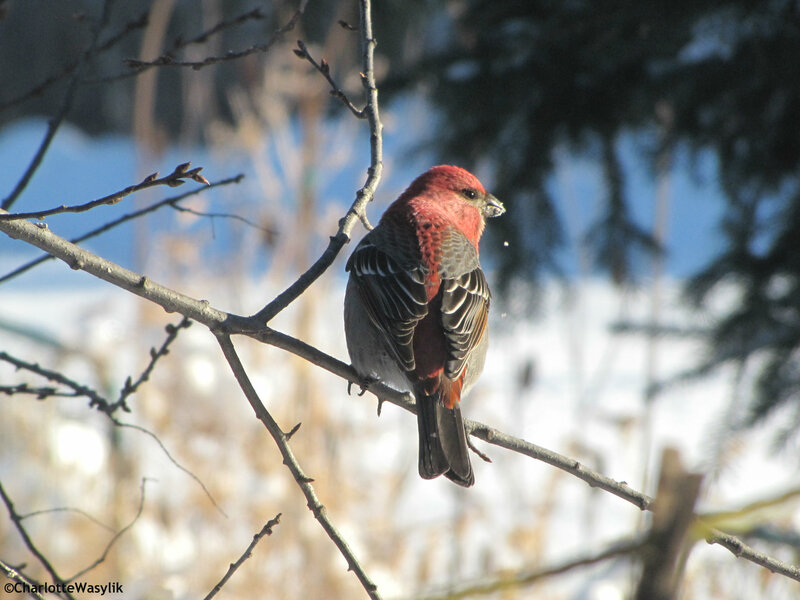 We looked for the large flocks of finches that had been previously reported in the spruce trees, but all we saw for winter finches were two Common Redpolls. Black-capped Chickadees were the most abundant on the walk and one particular bird came very close to the group, so everyone got a good look. 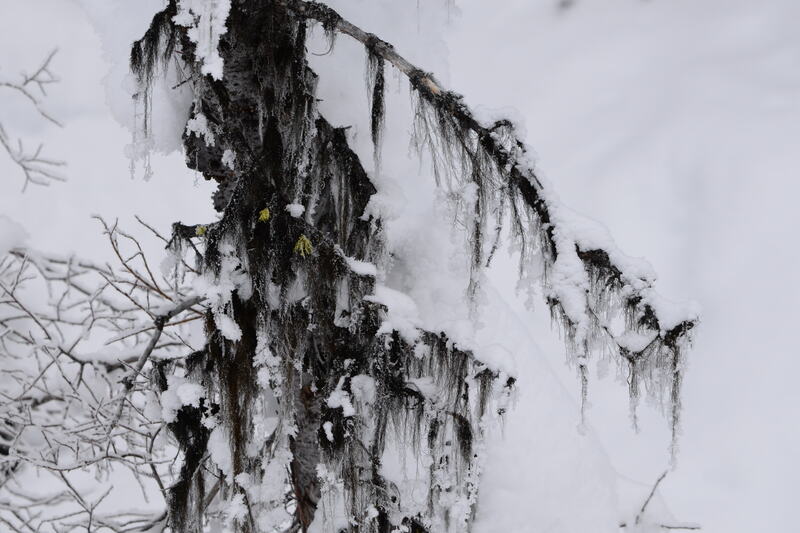 Other than birds, we found snowshoe hare tracks, various bird nests, a willow where a porcupine had stripped the bark off the top branches, and a bunch of trembling aspens that beavers chopped down in the summer or fall and left behind. 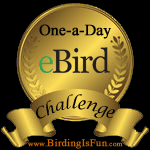 We finished the walk having traveled over two kilometres and seen six species. Even though the kids were a little tired after the long walk, they all had a good time. 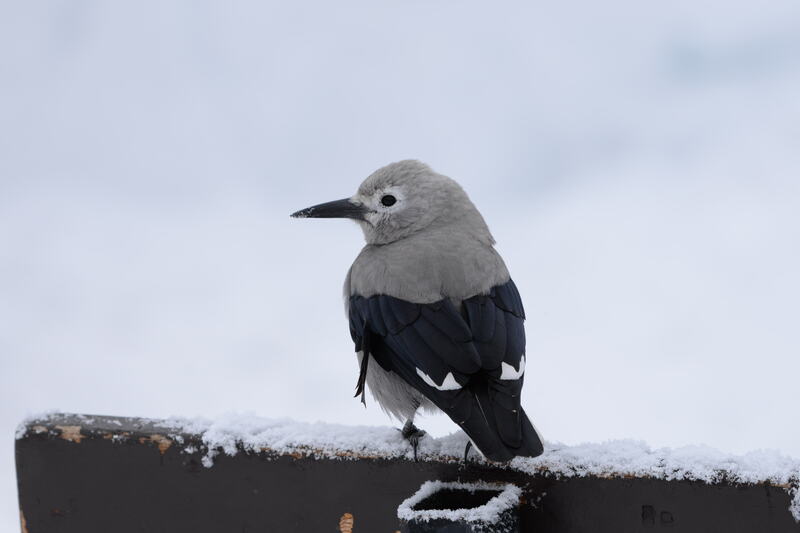 I’m looking forward to next year’s CBC4Kids, and think I might lead a walk for beginning adult birders who can’t commit to a whole/half day of counting, but would like to learn more about the wintering birds in Vermilion. There’s always a CBC potluck supper in town where everyone shares stories from the day, and our compiler tallies the count numbers. 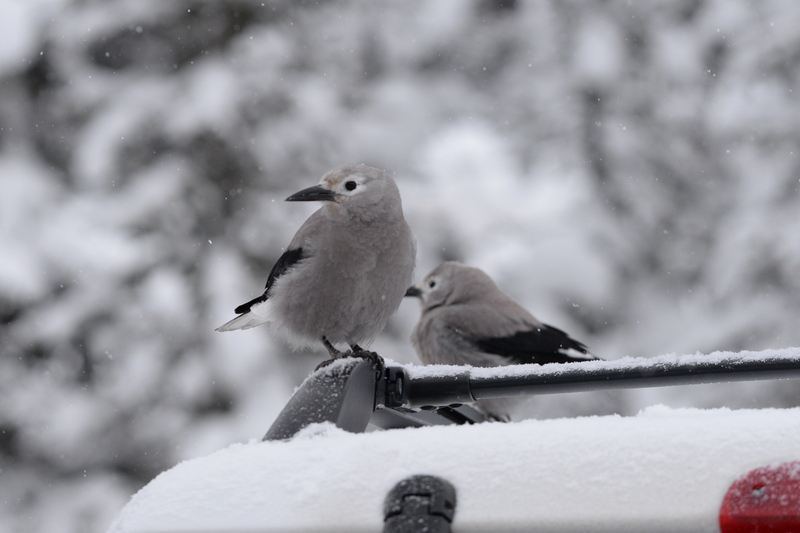 From the regular count and the CBC4Kids, counters saw a total of 4,340 individual birds of 41 species, a new record on both counts. 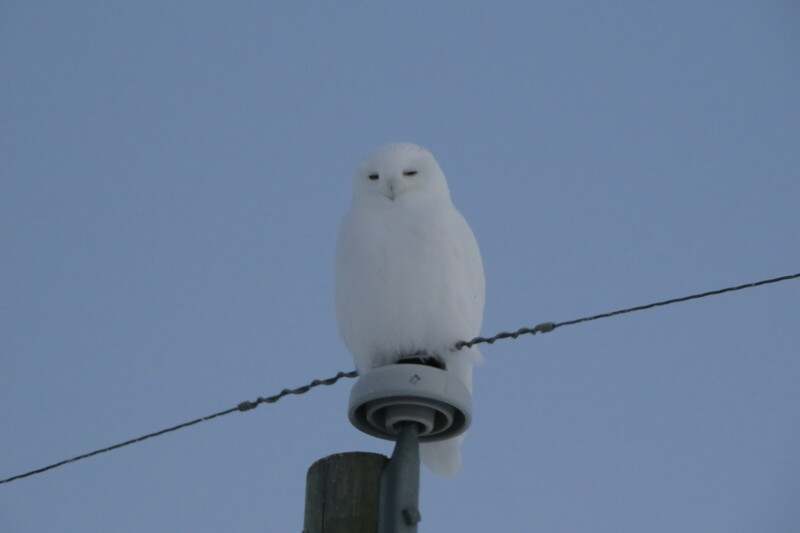 Two of the species — a Cooper’s Hawk and a Northern Saw-Whet Owl — were new additions for the count and were both seen in the NE Quadrant. 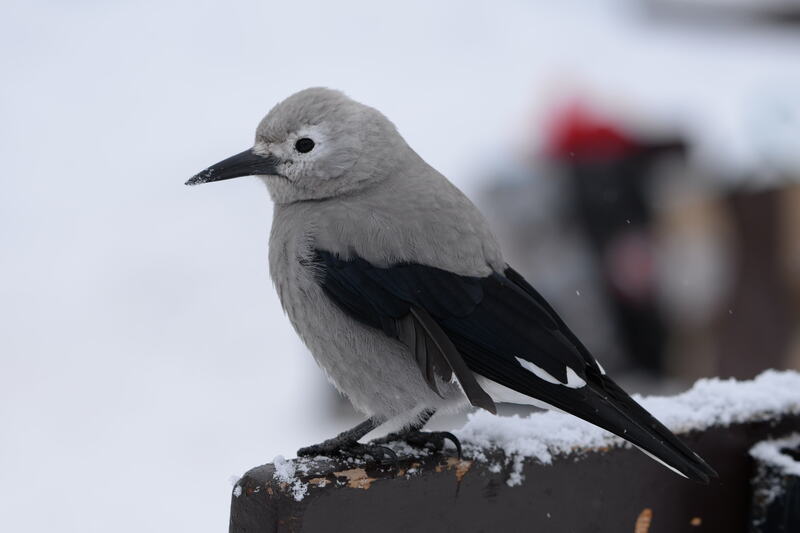 Christmas Bird Counts around North America run up until January 5th — CBCs are excellent ways to meet other birders in your area as well as to add some new winter species to your list.